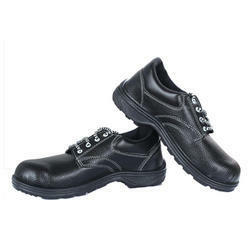 We are a leading Wholesale Trader of labour safety shoes, leather safety shoes and industrial safety shoe from Mumbai, India. Labour Safety Shoes with double density PU sole that has a protectice reinforcement the toe which protects the foot from falling objects or compression, punctures. Marine offshore structures like Platforms Jackets, Rigs. Industrial Sectors like Engineering Pharmachetuicals Fishing etc. It can be used by personal working on all kind offshore. This are waterproof shoes resistance to Oil & Acid. Made out of genuine leather with PU Sole dual density. The inner lining comprises of breathable black non woven cambrelle lining for better comfort. 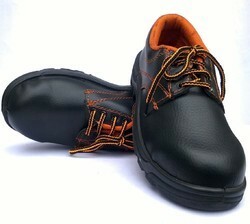 Eyelet of this shoe is rust proof aluminum and has a padded collar which provides an extra comfort to the wearer. We are deal in this Imported 7a Quality All Brands Shoes. 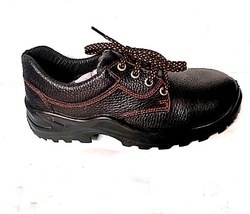 Made out of complete genuine leather having PU Sole injection moulded this shoe is the choice of the workers from various industrial sectors like Engineering Workshops, Marine Industry, Automobile Sectors, Construction etc.